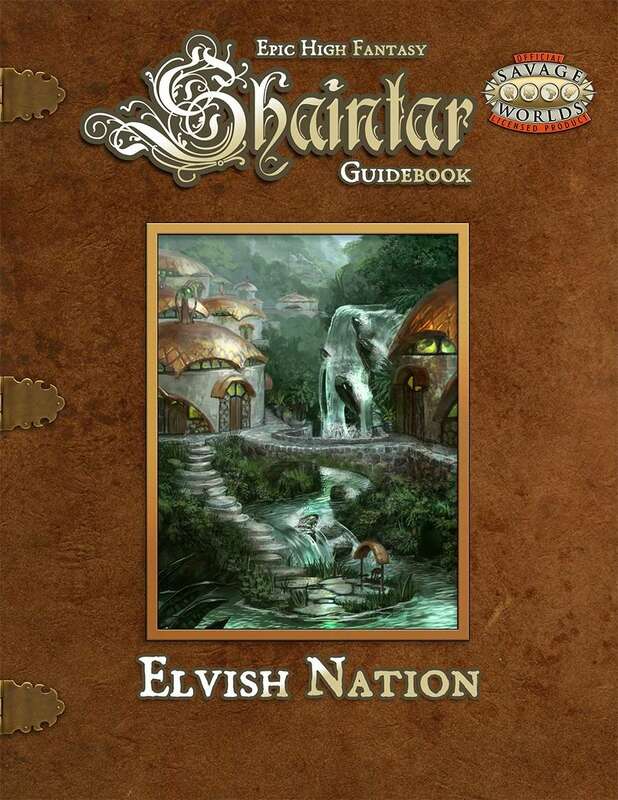 The nearly-unbelievable tide of Shaintar Guidebooks continues sweeping in with this latest book – Elvish Nation. Everything you’d want to know about Shaintar’s elvish population and culture, including some keen Edges and such. As with all the Shaintar books, anyone playing Savage Worlds fantasy and related genres will find a lot to add to their own games. The sourcebook for Shaintar’s elves, Elvish Nation takes you deep through the forests of this proud and magical people. You’ll learn about the Unias, Quo-Unias and about the delicate balance between tradition and progress or the older Eldakar vs. the Alakar. We’ll talk about everything from Architecture to Beliefs and rituals. There’s no nobles or peasants but there are terms given to certain people in this society and they’re here too. There’s also a number of NPCs and story hooks ready for a GM to use to enhance a campaign along with some new edges from the creator of this realm, Sean Patrick Fannon.